Losing weight doesn’t have to cost a fortune, and you certainly don’t have to be hungry while on the path to better health. Forget expensive gym memberships and $1,000 blenders, getting fit and healthy simply means making better food choices. A lot of the time, poor nutritional choices are made when we’re busy and not prepared with a healthy snack or meal. With no time to stop and prepare something ourselves, it’s easy to reach for a sugary snack or high-fat take-away – we’ve all been there. These are perfect occasions to have a shake close by and the ALDI Slim & Trim range could be a good option. With four flavours, high-fibre and high-protein levels, ALDI Slim & Trim shakes are great for keeping hunger at bay when you’re out and about! One of the great things about shopping at ALDI is that it’s the perfect place to buy in bulk. If you’ve got a big celebration coming up, you can purchase boxes of chips, dips and drinks to help cater for your event. But if you’re looking for a supermarket to support your health and fitness goals, ALDI is also the perfect choice. Preparing your weekly meals on the weekends can help you to eat clean and stick to your fitness goals during the week. Buying in bulk allows you to save time and money, and ALDI stocks endless healthy options for the health conscious shopper. Fitness model, trainer and blogger Zac Smith from ‘Zac Smith Fitness’ has put together an awesome video of his essential ALDI food items including almond milk, tuna, oats and brown rice. Check out his video for knowledgeable insights into some seriously savvy food prep and also pick up some great tips for choosing the healthier options at ALDI. 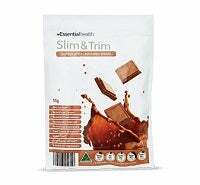 ALDI Slim & Trim are 55g single serve sachet shakes (that’s a mouthful!) and are perfect for chucking into your bag on the way out the door. Slim & Trim come in four flavours – vanilla, strawberry, chocolate and coffee – and you can have them with water, or if you’re super hungry, blend them up with a cup of milk, a frozen banana and ice. Slim & Trim has taken out top spot in Canstar Blue’s customer satisfaction ratings for weight loss shakes on multiple occasions! Slim & Trim have no artificial colours, sweeteners and no added preservatives – a good start for a weight loss shake! These individual sachets are also 99% fat free, gluten free and the high-fibre and protein levels mean you will stay fuller for longer. They’re also suitable for vegetarians. But let’s have a closer look at Slim & Trim compared to its competition. 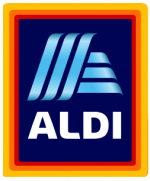 The ALDI nutritional label can be found here (a great tip if you can’t find the nutritional information of a product online before you purchase it, is to head to Calorie King or Fat Secret with most food and beverage information just one search away). As you can see, all of the following shakes do contain rather high levels of sugar, with Atkins being the exception. ALDI Slim & Trim comes out at 23.4g of sugar per serve, with Rapid Loss being the highest at 27.6g. To give you an idea of how much sugar that is, a 250ml can of Coca-Cola contains 26.5g of sugar. So, these shakes are not exactly low in sugar, however their protein levels are high which means they will help you feel fuller for longer. Source: Respective brand websites October 2018. These shakes work on a weight loss plan as they are very low in calories, with ALDI Slim & Trim just 205 calories. They are considered meal replacements as they contain high protein and moderate carbs, so incorporating a shake in the afternoon is a good option instead of reaching for a chocolate bar or biscuits! When using shakes, make sure to be eating plenty of vegetables to ensure you’re getting all your fibre, vitamins and minerals and boost your weight loss progress by getting in a little exercise every day. ^By checking latest prices, you may leave Canstar Blue and be taken to a referral partner to compare. Canstar Blue may be paid for this referral. You agree that Canstar Blue’s terms and conditions apply to this referral. If you click on a brand that is not a referral partner, you will be taken to a brand page on Canstar Blue.